Surprisingly, despite the constant running around and extended working hours, our Director James still has the energy to run around of an evening chasing a bag of wind as it rolls around various island football pitches. This extra energy – and some sort of apparently inherent desire to destroy any football that passes within three feet of him – led James to form the Wheeler Developments five a side football team in 2009. Playing in the local league as well as competitive competition in Jersey when available Wheelers have had some impressive seasons, with the team almost always challenging for a top three position in Guernsey’s premier division for the sport. Whilst – frustratingly – the capture of league glory has still evaded the team (they won titles in each of the three lower divisions at one point or another on the way up) the team has remained tight nit through the pressures of everyday life, injuries, wives and careers and continues to put in performances week after week that push even the most talented of teams, some of which feature ex or current semi professional players. Not bad for a collection of guys for whom football is just an enjoyable way to wind down after work! 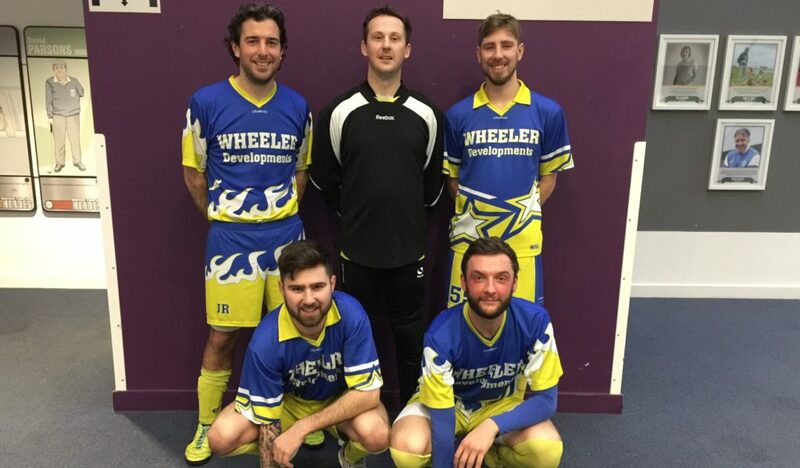 Note: Wheeler Developments five a side season takes place between September & March and you can follow along with their results during that period by keeping an eye out for the team’s Facebook posts after every game.